"The Global Order Faces an Existential Threat"
The name of that threat is "thermodynamics". It costs more energy to support each higher level of organization in complex systems. Economically, that looks like financial-skimming to support hierarchy/elites. We have all been downstream from large bureaucracies, and know how much bother, and time, and wastefulness is involved in complying with their protocols. We only got here on the back of a vast, one-time-inheritance of cheap energy and resources, which our species discovered under the floorboards. Ilargi looks at this in "The IMF and Other Losers". 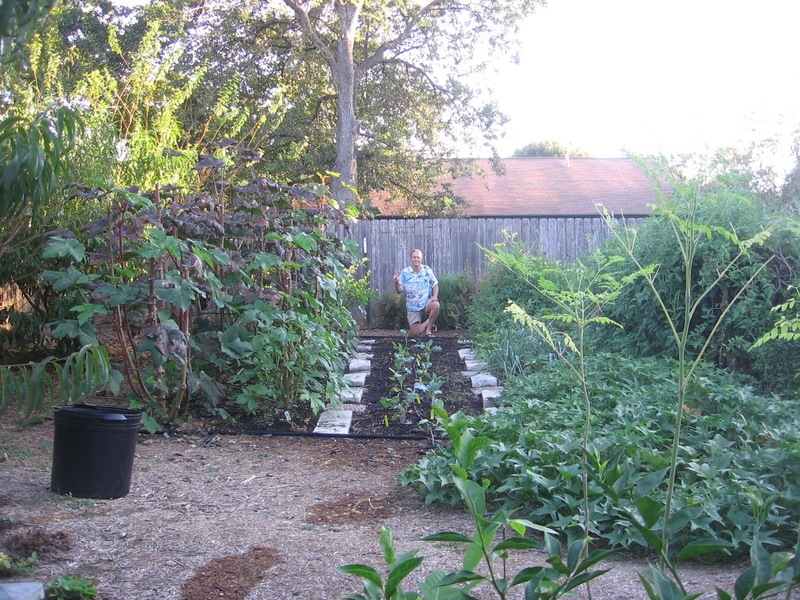 Plant a vegetable garden if you have a spot. It takes a few seasons to get the garden and gardener humming along as a team. "Sorry Central Banks, Risk and Volatility Cannot Be Extinguished" Charles Hugh Smith explains that lumping all the risk in the world into one big pile smooths things out nicely, until the one big pile collapses, since the risk never went away, and resets are inevitable in constantly evolving complex systems. For hundreds of years, "economy" has run in lock-step with energy-use. We know that has to drastically decrease due to global warming and resource depletion. We are told a "new economy" is arising (iPhone wealth). This seems like "I don't think it means what you think it means". American "wealth" is rising, as fuel use declines. It's fine as long as you just think nice thoughts about your wealth and pay those rent and insurance bills for your adult kids. What happens when everybody realizes the cookie jar is empty at the same time? Student loans and car loans surged massively this summer in America. That's somebody's asset/wealth. What's the cumulative effect of all this prosperity look like? Less than half of the 22-26-year-olds surveyed pay their own rent (47%), health insurance (41%), or contribute to a retirement account (27%). This Greek grandmother on the Island of Lesbos could win the Nobel Peace Prize (They are trying to rehabilitate it since that 2008 mistake.) She was photographed in February, on a bench, feeding a Syrian baby, to let the mother stretch a bit. She would donate the money to the National Health System, and accept the award on behalf of Greek people together. France's dangerous far-right-extremist politician, Marine LePen, unexplicably popular these days, says the EU and US are responsible for the "monstrous chaos in Syria". British Members of Parliament, say the referendum was on leaving the EU, not leaving the Common Market, and that the people, through their representatives, should decide the plan. Theresa May has said "hard Brexit announcement in March 2017". They say that's too fast. Norway has the market without the membership, but freedom of movement and paying dues are the cost. Britons don't want the freedom-of-movement part. (Looks like the vote really was for hard-Brexit from what I see). EU "leaders" unanimously agree to whack Britain hard for this insolence. There will be no market access without freedom-of-movement. Punishment will be severe and public.